The Potentiometer Board is an accessory board offering an effective, low-cost solution for testing analog inputs on a prototype board. The Potentiometer Board is an effective and low-cost solution for testing analog inputs on the prototype board. 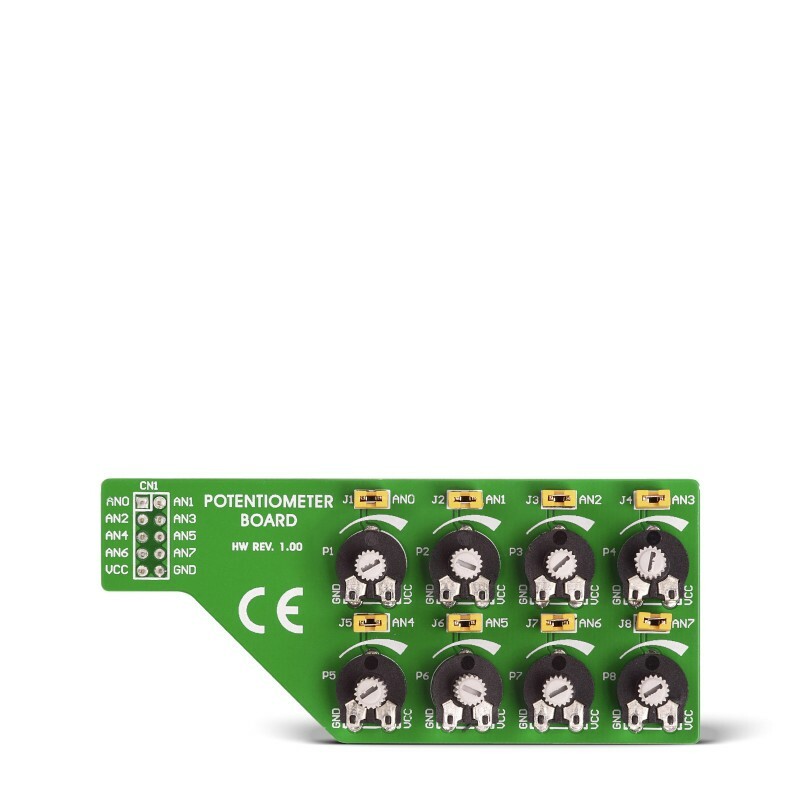 Connect your device to the Potentiometer Board via the IDC10 connector. All components provided on the board are clearly marked so that there is no need for additional schematics.